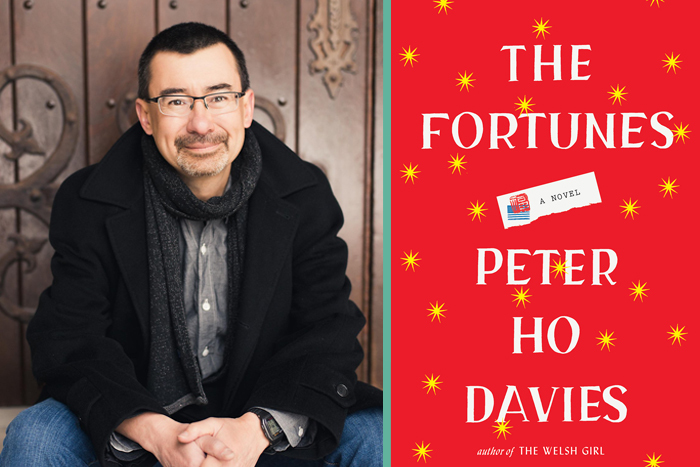 Peter Ho Davies most recent novel, The Fortune, tells the story of four lives—a railroad baron’s valet who unwittingly ignites an explosion in Chinese labor, Hollywood’s first Chinese movie star, a hate-crime victim whose death mobilizes Asian Americans, and a biracial writer visiting China for an adoption. Through these characters,Davies explores the threads of what it means to be both Chinese and American. The son of a Welsh father and Chinese mother, Davies was raised in England and spent his summers in Wales, which certainly influenced his debut novel, The Welsh Girl, in 2007. Davies now makes his home in Ann Arbor, MI, where he is on the faculty of the Helen Zell MFA Program in Creative Writing at the University of Michigan. He is the recipient of fellowships from the Guggenheim Foundation and the National Endowment for the Arts, and is a winner of the PEN/Malamud Award. In addition to the The Welsh Girl, Davies has written two award-winning story collections. Sly, funny, intelligent, and artfully structured, The Fortunes recasts American history through the lives of four Chinese Americans and reimagines the multigenerational novel through the fractures of immigrant family experience. Ah Ling, the son of a prostitute and a ghost a white man– is sent from his homeland to make his way alone in California. From humble laundry worker, he will rise to valet for a powerful railroad baron and unwittingly ignite an explosion in Chinese labor. Anna May Wong, the first Chinese film star in Hollywood, is forbidden to kiss a white man on screen. Shut out of leading roles, cast only as Dragon Lady or Butterfly, she must find her place between two worlds and two cultures. Vincent Chin, aspiring all-American, is killed by a pair of Detroit auto workers simply for looking Japanese. He will become the symbol for a community roused to action in the face of hatred. John Ling Smith, though half-Chinese, doesn t speak the language. When he visits China for the first time to adopt a baby girl, he sees the long history of both cultures coming together in the spark of a new century.